I’ve got a great post from you here, it’s a guest post from Erfan Shahedi. Over the last few years the popularity of using WordPress to build websites has sky rocketed. But What Is WordPress Anyway? WordPress started out as a simple blog creation tool, but its flexibility has meant it is now being used for creating many different types of sites. Whether you need a simple one page website, a large dynamic site, a blog, a content-based site or an ecommerce website, WordPress is a great platform choice. If you haven’t set up a WordPress site before, start off by downloading the code (free of charge) from WordPress.org. It takes just a few minutes to install the software onto your server. 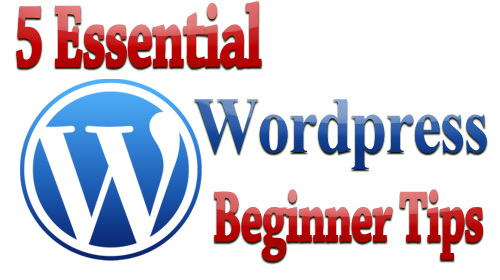 To get off on the best start possible, here are 5 tips all WordPress beginners should know. One of the greatest benefits of WordPress is the vast array of available plugins that can add countless new features to your site. Ironically this can also be one of the biggest problems with WordPress. The ease at which you can install plugins, means that it is easy to end up with duplicated functionality or simply plugins that are not being used anymore. As the WordPress software is updated over time, plugins can cause compatibility issues if they are not actively maintained. A badly written plugin can slow down your site or open up security holes. Lots of user – Read some reviews so you’re aware of any potential issues. A good rating – Does it have a 4 star rating or higher? An active developer – Check out the developer’s website. Compatibility with your version of WordPress. You most likely want comments enabled, so that you have another avenue to communicate with your audience. Plus it helps with SEO. Unfortunately you will soon realise comment spam is a big problem. Even on a low traffic site you will receive a lot of unwanted spam that you will have to go through to find the genuine input from your readers. Fortunately you can use the Akismet plugin to block the majority of spam comments before they hit your WordPress dashboard. If you could only have one plugin on your site this would be it. Search engine optimisation (SEO) will be important to your site especially in the long-term. 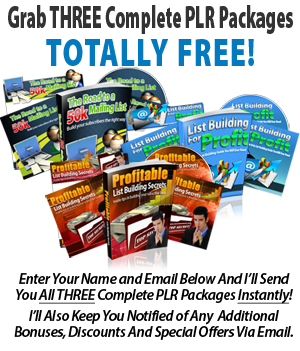 Get off on the right foot by installing a SEO plugin such as All In One SEO. Think about what a reader might type in a search engine when deciding the title for a new post or page. Though always remember the actual content of your site should cater to your readers first and foremost (not the search engines). Never leave anything to chance. Make sure you have a solid backup procedure in place in case disaster strikes. You need back all the contents of the WordPress folder on your server and the database that is linked to your site. 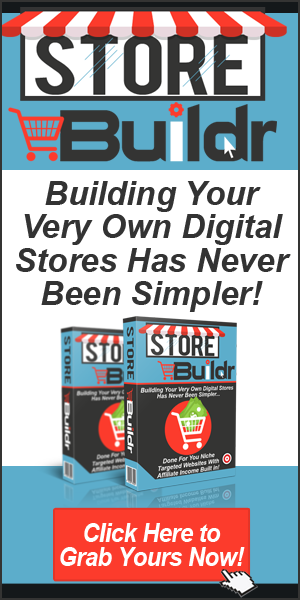 You could use a plugin to simplify and even automate this process. BackUpWordPress is a great choice for a backup plugin. If you use Dropbox, this plugin is good alternative to consider. Websites being hacked is increasingly becoming an issue. A good first step to keeping your site safe and secure is to always keep your version of WordPress up to date. You will automatically be notified in the dashboard when a new update is available. Also you should keep your plugins updated as well and remove them completely if they are no longer used. Better WP Security is one of the best plugins you can use to further protect your site. Though you should read the instructions very carefully and backup your site before installing it. A Permalink refers to the URL you see in the address bar of your browser (which doesn’t change over time) for a particular webpage. Google, Yahoo and Bing use the permalinks to find out what the content of a webpage is about. However, the default URLs for your WordPress blog posts and pages, are not optimised for SEO. Watch this video to learn how to change the permalink appearance, to fix this issue. 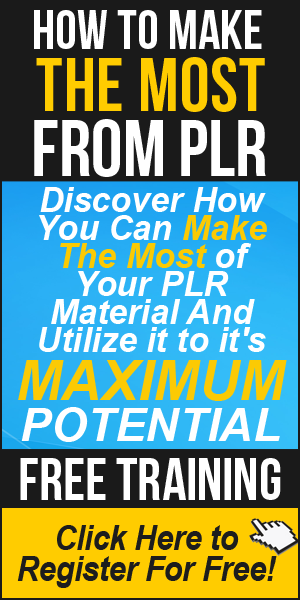 Previous PostBlog Defender Bonus Draw… Did You Win?Next PostMake Money FAST With Your PLR Material! This is awesome, thanks Dave – I’ve had a couple of problems with security on my blog so your advice is really helpful! A decent post that gives probably the most important tips for setting up a WordPress site. Just wish I had found these when I first started. Didn’t even think about backups in the early days, then got hacked! Not so sure about SEO anymore though, with Google constantly messing about, important maybe, but probably less so, don’t you think? Phil Mason recently posted..Too Many Pies Make You Too Fat to Move! Great Post Dave, and thankfully enough i practice most of this tips except the one of the backup which am going to check now,with wordpress sites being a target for the hackers lately you can never be too careful. I recently joined Partnership To Success and your information here in this post saved me more than a few hours of reading – or possibly even some pain! As you know, we’re building and tuning up our WordPress blog….which led me here. Beautiful blog you have here, Dave….I enjoyed the visit … and learned alot! 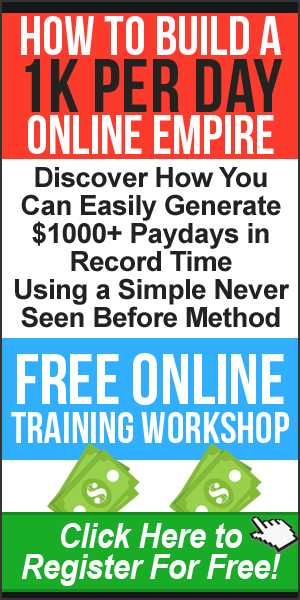 John Leary III recently posted..Feel like giving up your online dream? I’m finishing week7 of P2S so thank you for everything. Roman recently posted..The Wall Will Collapse !